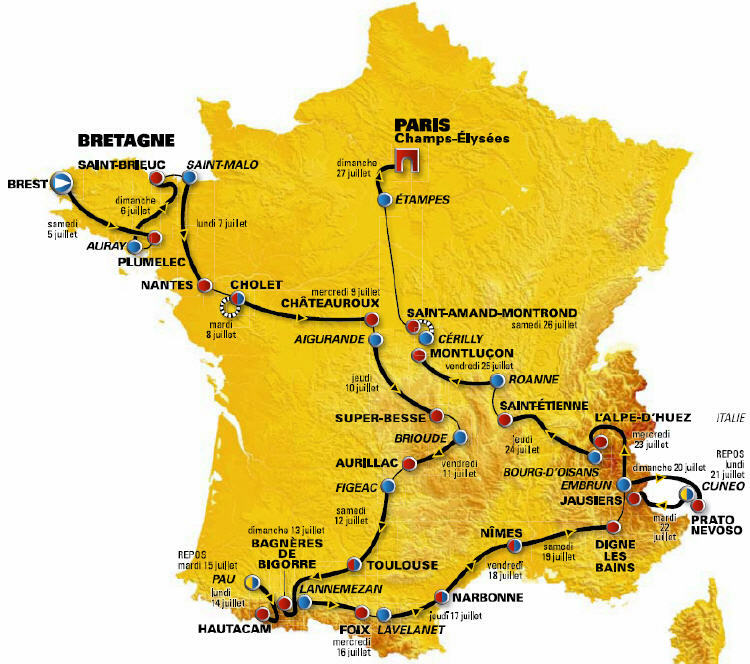 While the Tour de France has little to do with bicycling in New York City, it certainly inspires many riders to hit the streets of New York every July and to get you excited for the upcoming Tour here is map of the route, plus a list of the 30 most defining moments of the Tour de France from Bicycling Magazine. Anybody have a favorite bar to watch the Tour de France in NYC? For viewing in NYC, the Lakeside Lounge is airing coverage on Versus, located at 126 Ave. B. between 10th and 11th st. I believe it is coverage during happy hour, starting when they open around 4:00pm. So for all of you who get off work in time or aren’t working…this works out great for you. At least it shows they are a cycling friendly bar.